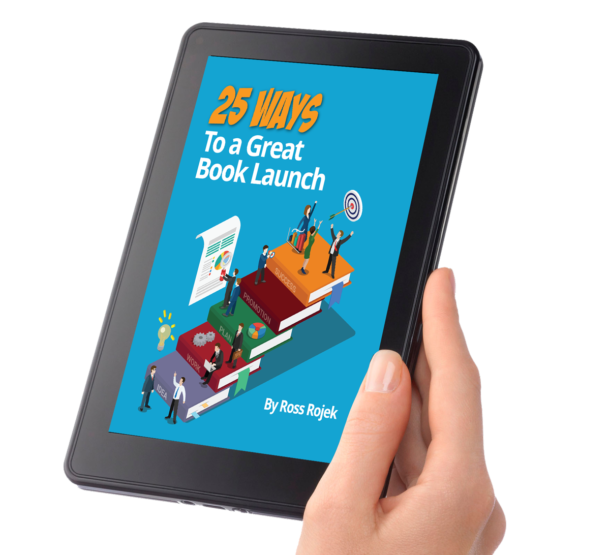 Maybe you recently published a book or decided to get some help increasing sales with marketing and publicizing a book you put out quite some time ago. Or maybe you decided that a professionally designed book cover was actually a good idea when you first created yours. 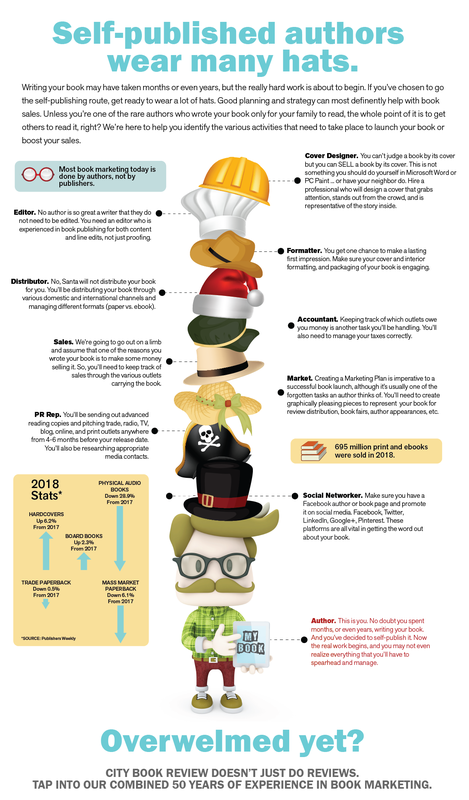 If you’re new to the self-publishing game, you’ll be required to wear several hats as you market and distribute your book. Perhaps some of you didn’t realize just how many pieces there are to the publishing puzzle. We liken it to Dorothy peeling back the curtain to discover the Wizard of Oz manipulating all those levers and buttons. That’s what a traditional publisher is typically doing for you. Perhaps you’ve gone with a small publisher, and you’re expected to wear some of those hats yourself. We’ve broken down the publishing process, so you know what to expect. Perhaps you want to wear ALL of these hats, but if you decide that some of these tasks are a bit out of your league, it’s okay to lean on us for help. Tap into our combined 50 years of book marketing, publishing, and retail experience. You’ll find the array of author services we offer up there ^^ in our menu under Author Marketing Services. Which book review outlets should I target? Where can I find a good editor? If you’re a self-published author, lots of these questions or challenges are not unique to you. Writing and publishing a book doesn’t make you an expert at all elements of book publishing. There are probably very few questions that we haven’t run into or answered for ourselves or one of the thousands of authors we’ve worked with over the years. Our marketing review will help you with the issues that are unique to YOU, along with a review of the current state of your book(s) and your marketing efforts. 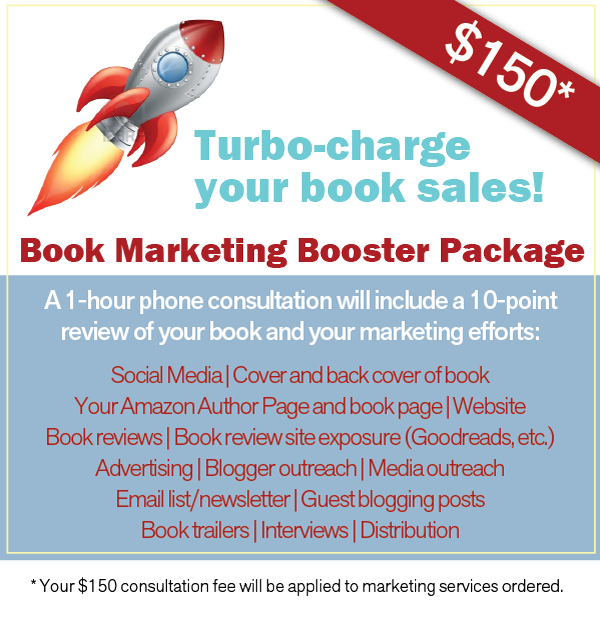 Before our phone call, we’ll review your social media, cover and back cover of book, your Amazon Author Page and book page, website, book reviews, book review site exposure (Goodreads, etc. ), advertising, blogger outreach, media outreach, email list/newsletter, guest blogging posts, book trailers, interviews, distribution.